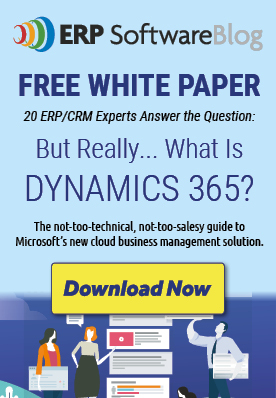 June 3, 2016 by iCepts Technology Group, Inc.
Microsoft Dynamics NAV is one of the most popular Enterprise Solutions being used today by Small to Mid-Sized companies. What makes this business management solution so desirable is NAV's robust enterprise technology management of financials, supply chain, sales, purchasing and warehouse functionality along with different deployment options. Dynamics NAV is a scalable solution that can be deployed on-premise or in the cloud and customers can access their solution through “Role Based” interfaces on their desktop, in a browser, or with a native mobile app on a tablet or mobile device. The Microsoft Dynamics NAV Web client gives users access to Microsoft Dynamics NAV data over a network, such as the Internet. Being browser based the user can access NAV from anywhere with no client installation. Functionality, therefore in NAV, is made accessible to wherever a secured log is on the Web giving employees the flexibility to access their ERP information anywhere and boosting productivity. Microsoft Dynamics NAV Tablet client is targeted at users in small and medium sized businesses that want to access data from a tablet. Some of the advantages of offering tablet solutions are portability and flexibility, when the user is away from the desk, on the train etc. Microsoft Dynamics NAV Mobile client is Microsoft Dynamics NAV for iOS, Android, and Windows. Access all your data by connecting to your Microsoft Dynamics NAV 2016 server from your smartphone with the familiar, role-tailored experience and functionality on your mobile device.